Spittlebugs are the predominat xylem-feeders in Europe with relevant role in vectoring the bacterium Xylella fastidiosa. Several trials have been conducted in the past years to search for effective strategies to reduce the spittlebugs populations in olive orchards in southern Italy, where the spittlebug Philaenus spumarius has been identified as the prediminat vector species causing the epidemic spread of X. fastidiosa in olives and other hosts. Control of the juveniles remains the most effective and sustainable approach to reduce the population of this insect, mainly through mechanical control of the weeds and ground vegetation where the nymphs feed and survive. 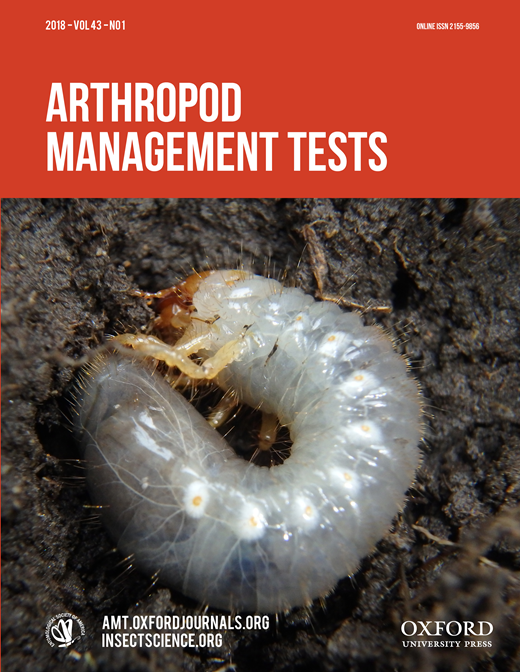 A recent work published on Arthropod Management Tests reports the results of 3 years field trials testing different natural and synthetic insecticides for reducing the juveniles in areas where mechanical control of weeds and ground vegetation is difficult to conduct. The results provided strong data that several formulations of insecticides and natural products applied to host vegetation can suppress nymphal populations of P. spumarius. This applied research is part of the workplan of the H2020 project POnTE and XF-ACTORS.